on March 20th or 21st we are collectively experiencing a particularly powerfulFull Moon in Libra. For all of us it will bring the world a little bit more and a little bit less in balance, for its positioning in the critical point of 0 degrees and 9 minutes of this quick air sign. It is recommendable these days to take some time and examine our current emotions und the influence this Libra Full Moon has on each of us. Question yourself what the change that this Equinox time is bringing in the outer season symbolically means for your inner world. Also contemplate how you can create more balance in your inner relationship with your higher-self or inner guidance and, how you can bring more balance into the flow of giving to self and giving to others. When ever in doubt – check in with your spirit guides!! We need to work together for peace, and balance with the other side. We need to take care of the earth that feeds and shelters us. We need to put our entire mind and heart into pursuing unity and unity now, to confront the other side and preserve life. All kinds of challenging physical activities are especially helpful during the days of the Libra Full Moon. To burn away some of the intensity can help us in harmonizing the rest of our emotions and energies we exchange with others. Meditation and spiritual practice are good, but also action. It’s very important to be clear about who you are, and also about your relation to the earth. Develop yourself according to your own tradition and the call of your heart. But remember to respect differences, and strive for unity. Eat wisely — a lot of food is corrupt in either subtle or gross ways. Pay attention to what you are taking into your body. Learn to preserve food, and to conserve energy. Learn some good breathing techniques, so you have mastery of your breath. Be clear. The Libra Moon is not only interested in bringing balance into the world, but also in harmonizing our very personal relationships. Said that, it makes the coming days the perfect time to ask yourself some more supportive and challenging questions. How do I experience the balance between commitment and freedom in my personal relationships? How much freedom do I need to feel truly aligned with myself first? Do I allow myself to openly share all the weirdness and fun that lives inside of me? Especially when you are aware of feeling more unbalanced one of these days, try to think before you speak and make sure that your words match the harmonic outcome you desire. Don’t get into unnecessary arguments, use the energy rather for creative expression. A little bit of writing, any art form, creative new ways of communication, brand new inspiration how to engage with others – all of that is blessed unter the current Libra Moon. 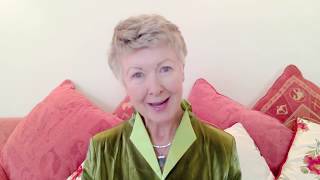 It is an excellent time to determent in which areas of your life you are ready to move forward into a different experience and dimension? I tried to discover, in the rumor of forests and waves, words that other men could not hear, and I picked up my ears to listen to the revelation of their harmony. It can further be very productive for us to check our personal reaction pattern on expressions of victimhood during this moon event. If we do so, its easier right now it than usually is to differentiate exactly where it is important for us to speak out or stand up for our personal emotions and needs. On a collective level we might see more clearly when things/situations are out of balance with the needs of all beings for the creation of a golden age of Aquarius on earth. We are disturbed — we can’t play anymore. Our planet can be renewed or ravaged. Now is the time to awaken and take action. Everyone is needed. You are not here for no reason. Everyone who is here now has an important purpose. This is a hard but a special time. We have the opportunity for growth, but we must be ready for this moment in history. Dear Ones, I hope you are feeling motivated and ready to work with the upcoming powerful shifts these days, because they might just come anyway!! Align yourself well with your own inner wisdom as well as with the current energy field and actively create balance and harmony when ever its in your power! !